Social Media is a great way to stay connected. While some of our members seem to shun it as a technology that can’t be relied upon in a major global disaster the reality is we prep for everything from the mundane to the insane at The Survival Podcast. Just as we don’t shun a car because one day gas may not be available we use social media within its limits to maintain connections in good times and bad. Many families have gotten messages out to loved ones during disasters with technologies like twitter and facebook, we use them as part of the show to provide additional content and keep you updated. There are a variety of ways you can connect with me on Social Media. The TSP Facebook Fan Page – This is the best way to connect with me on facebook. I don’t take personal friend requests on facebook unless I know you on a first name basis, the total number of requests I receive makes this impractical. However I am on facebook almost every day and spend more time on the fan page then with my personal profile. To connect with me on facebook just go to our fan page and click “like”. TSP on Twitter – On twitter I am TheSurvivalPodC, while I have a personal twitter account I never and I mean never use it. If you connect with me on twitter I tweet show updates, articles that don’t make it on the show, cool videos and personal stuff, like cheering or complaining when the Pittsburgh Steelers are playing a game. If you do an @ mention to me on twitter I will most likely respond and probably follow you back as well. YouTube – My YouTube handle is “survivalpodcasting” and I have over 50 videos available on my YouTube channel and add to it all the time. You can watch my videos, subscribe to my channel and even friend me on YouTube, I generally accept 100% of YouTube friend requests. If you have a channel you want me to subscribe to, send me a message on YouTube and I am happy to add it to my subscriptions. 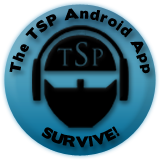 The TSP Forum – I am “ModernSurvival” on our forums. I only get on the forums a few times a week but look forward to seeing you there. Before you join our forum you may want to read my article about “Getting Along in Our Forum“. While I use all of the above platforms if you want to talk to me or ask me about something the best bet is a direct email. I am terrible about responding to facebook messages. I simply can’t answer 100% of emails but I do my best, my email is jack at thesurvivalpodcast.com. If you are sending in a question or comment for use on a listener feedback show put “question for jack” in the subject line. If you are sending it directly to me for a direct response don’t use that subject because all mail with that subject is set aside for screening for on air use. I’m currently casting for a pilot television show about preppers/survivalists. I think you may be a great resource for finding well prepared people, who would be open to appearing on camera. I’m wondering if you would be willing to post this info on your blog or website, or just pass this info along to anyone you think would be interested. It’s a 30 minute show, and we will feature two stories. 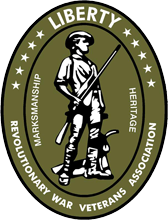 We are mostly interested in seeing what the person has prepared or prepped, and right now we’re specifically looking for someone with a stocked bunker or extensive prep. The idea is to meet the person and see what they’ve prepared, then bring in a survivalist expert to evaluate how long you could actually live for if a catastrophe were to happen. The purpose of the show is not to exploit beliefs, we actually want to cast people who the viewers will be able to relate to. We also want to feature someone who has prepped extensively, either in the home, or in a bunker. We really want something visually stunning. This has been extremely hard to cast because of the secretive nature of the people who are preparing–which is completely understandable. 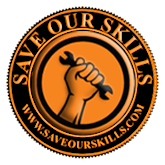 I am contacting you because I think it’s important to get the word out about survivalists/preppers–that they aren’t all crazy people, that most of them are smart, well-informed people who we could take a lesson from. And I am hoping you will be able to pass this info along if you know someone who may be interested in participating. We can provide full anonymity, and compensation is $1000 for the person who is chosen.